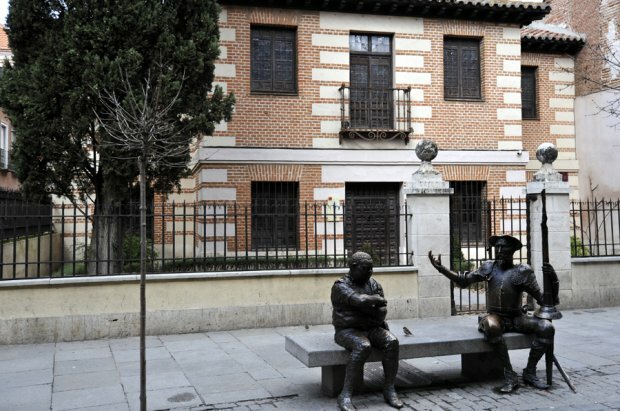 The Casa Natal de Cervantes Museum is located in the house where the great writer was born in 1547. Its interior recreates the atmosphere and the different rooms of a 16th century house. The appliance room, the father’s office, Rodrigo de Cervantes, the kitchen, the dining room, the ladies’ stand and the bedrooms will take us back in time thanks to its perfect setting with Castilian furniture from the 16th to the 19th centuries. The important bibliographical collection stands out, exhibited in part in the rooms of Cervantes editions, where we can admire authentic jewels, such as the first edition of Quixote, first editions in other languages or Quixotes printed with engravings or drawings by important artists such as Salvador Dalí.